As managing owner and head Pizzaiuolo, I want to personally welcome you. My name is Roberto and I am very proud to open my first restaurant in the United States. I was raised in Liguria, the beautiful coastal region of Italy where I developed a love for Neapolitan pizza. From early on, I have fond memories of frequent pizza dinners with my family and I believe those days directed my life’s journey. We say that to make Neapolitan pizza you need: flour, water, salt, yeast and PASSION and I have an abundance of the latter. 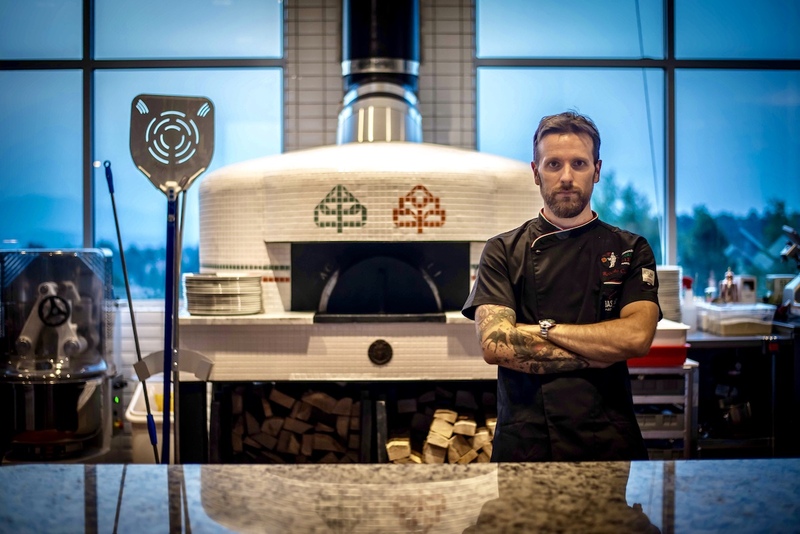 I have been working in the industry since I was 19 and studied Neapolitan Pizza in Naples. My first restaurant was located in the UK. Today, my wife Alessia and my children, Alex and Eric join me to make Colorado Springs our home. To my delight and gratitude, my dad Sandro, has also traveled from Italy to lend his talents to B&B as co-owner and chef of dessert and pastries. From our family to yours… enjoy! Did you know we are hiring? Apply Today! Want updates and promotions straight from Basil & Barley? Sign up for our newsletter.